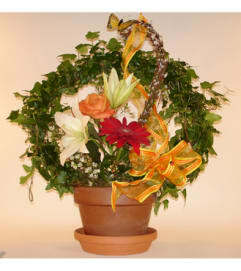 A sympathy arrangement in a mache container suitable to be taken to a cemetery after a visitation. 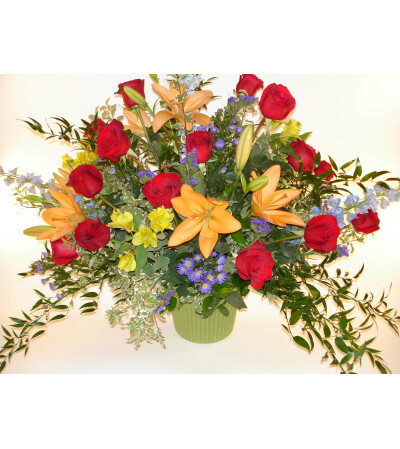 We only use premium flowers, no carnations, mums, baby's breath or leatherleaf greenery. 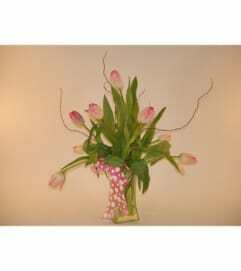 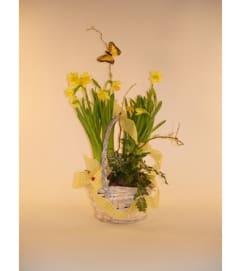 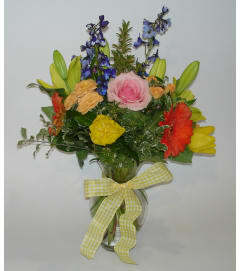 Specific flowers and colors my vary slightly due to availability.